2018 taxes are due soon and, though everyone’s tax situation is different, you could face real consequences if you don’t submit your return by the deadline, Monday, April 15. Here’s what you need to know. There are different penalties for not filing your taxes and not paying them, says Bill Smith, managing director of CBIZ MHM’s National Tax Office. If you don’t file, you can face a failure-to-file penalty. The penalty is 5% of your unpaid taxes for each month your tax return is late, up to 25%. 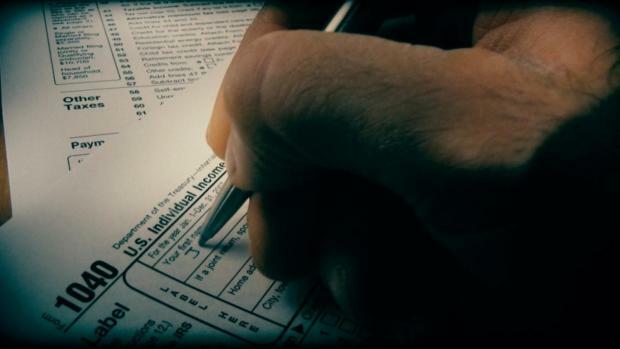 The penalty starts accruing the day after the tax deadline. If you file more than 60 days late, you’ll pay a minimum of $135 or 100% of the taxes you owe (whichever is less). If you file your taxes but don’t pay them, the IRS can charge you a failure-to-pay penalty. The penalty is far less: Generally, the IRS will charge you 0.5% of your unpaid taxes for each month you don’t pay, up to 25%. This year's tax deadline is just around the corner, but if you still haven't filed your return you're not alone. Almost a quarter of filers are waiting until the last minute according to Turbo Tax. Here's what you can still do if you find yourself running out of time. Interest also accrues on your unpaid taxes. The interest rate is equal to the federal short-term rate, plus 3%. If both penalties “are running concurrently, the total per month cannot exceed 5%,” Smith notes. Even if you can’t pay your taxes, it’s still important to file, Smith says: “You need to either file by April 15, or file an extension by April 15.” Anyone can request an extension, which gives you an extra six months, until Oct. 15, to file. If you don’t file, the consequences can pile up, thanks to fees and interest. Plus, you may miss out on a refund by not filing. Now that you’re inspired to get started on your 2018 tax returns, if you haven’t done so already, read up on the common errors that can slow down the filing process.